A refreshing look at gentle, beginner level strength training. 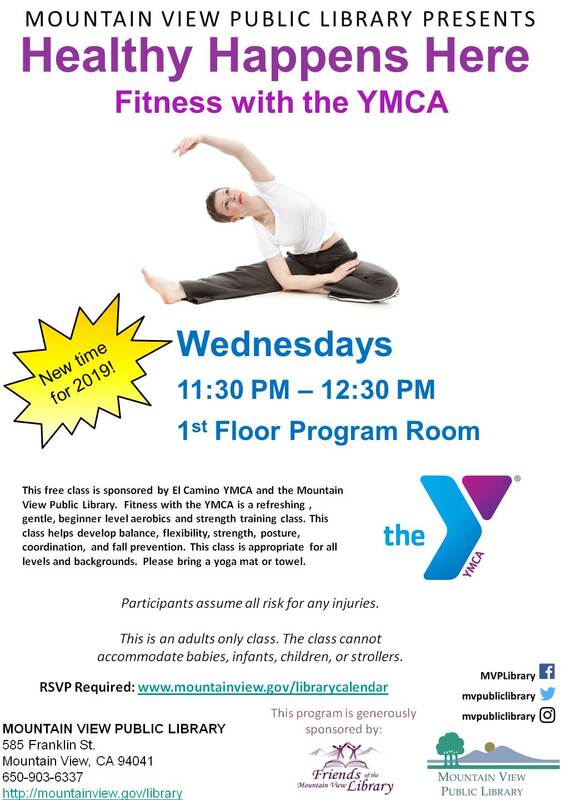 This class helps to develop balance, flexibility, strength, posture, coordination, and fall prevention. This class is appropriate for all levels and backgrounds. Offered in partnership and led by instructors from the YMCA.Please bring your own Yoga mat or towel. This is an adults only class. The class cannot accommodate babies, infants, children, or strollers. In consideration of participating in this program, I hereby indemnify and hold harmless and release the City of Mountain View, its agents, its employees, and volunteers working for The City from any and all liability for injury arising from or connected with this program. I assume all risk for any injuries.